i work good and hard on my blog because i love having a place to spew forth my recipes and odd humor. but when my readers occasionally take time out of their busy schedule to stop by my blog, offer a comment or two, and give me a few words of praise, it makes me feel like i am doing something right. it is always great to know that there are people in this world (most of whom i have never met) who stop by pmk for a good laugh/recipe every now and again. the following is a list of awards pmk has received from awesome folks just like yourself. 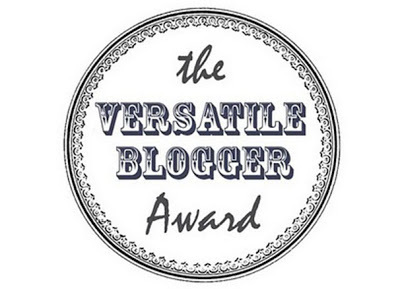 a huge thanks to fae from fae’s twist and tango for bestowing upon me the illustrious versatile blogger award on december 11th, 2013.
i have an older brother, ivan, and a younger sister, emily. my cats are named ampersand and semicolon. although i seem manly sometimes, i have a soft spot for cute things (homely babies, puppies, kittens, etc.). i do my best to listen to an hour of classical music every day. i am mildly lactose intolerant, but i’m stubborn so i eat cheese anyway. i have one double-jointed thumb. i have accidentally caught an octopus while fishing from the shore. as per the rules, i figured i would nominate some of my favorite blogs i have discovered by chance whilst wandering in the blogosphere. here’s to you guys.